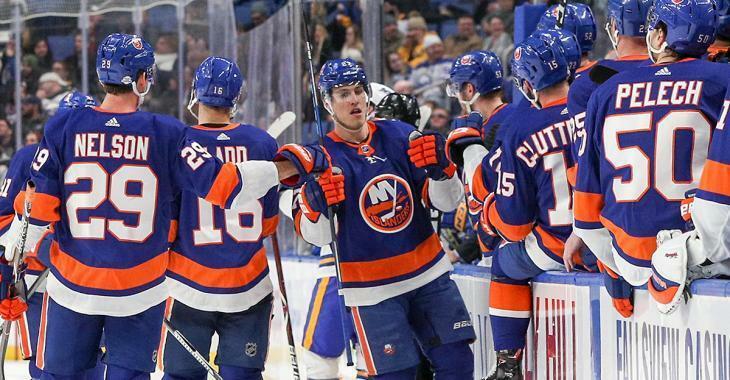 The New York Islanders have named forward Anders Lee as the 15th captain in team history. Isles News: Anders Lee has been named the 15th captain in team history. Josh Bailey, Cal Clutterbuck and Andrew Ladd will serve as alternate captains. The New York Islanders announced today that forward Anders Lee has been named the 15th captain in the organization’s 46-year history. Lee had a career year last season in every offensive category, scoring 40 goals and 22 assists for 62 points, while playing in all 82 regular season games. He was one of eight players in the NHL to reach the 40-goal mark last season, placing seventh in the league. The Edina, MN native was selected by the Islanders in the sixth round (151st overall) of the 2009 NHL Draft. Lee has played in 343 games over the course of his five-year NHL career, scoring 207 points (124 goals and 83 assists). Lee was the team captain of the University of Notre Dame ice hockey team during the 2012-13 season. Alternate captains are Josh Bailey, Cal Clutterbuck and Andrew Ladd. “It’s definitely one of the most special things that’s happened in my hockey career,” says Lee. Lee, of course, takes over the captaincy from John Tavares who signed with the Toronto Maple Leafs as a free agent this past offseason. In his Leafs debut last night against the Montreal Canadiens, Tavares made an incredible first impression, scoring an absolute BEAUTY over the shoulder of Habs netminder Carey Price. Sorry, Isles fans... I know that has to hurt. To be fair though, Lee is an excellent choice as the next captain of the Islanders. While he certainly won't be mistaken for Tavares anytime soon, he's a proven veteran leader who always puts forth a great effort. A true 'lead by example' type guy.